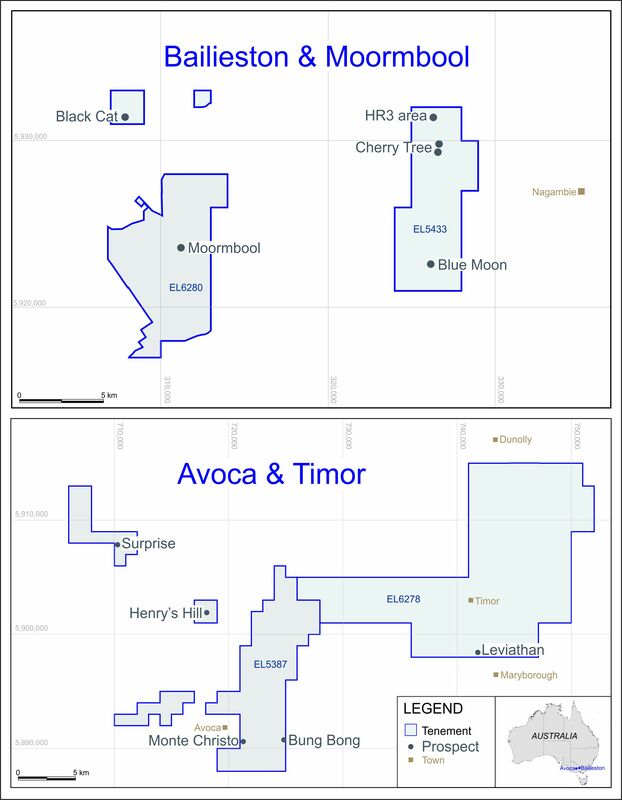 LONDON: 20 JUNE 2007 - Mercator Gold Plc has finalised mining and metallurgical studies on its previously reported resources of Bluebird, Surprise, Prohibition and Vivian – Consols, all located in the Meekatharra region of Western Australia. Mining contract awarded to Mining and Civil Australia. Grade is grammes per tonne. Ounces are Troy ounces. Small numeric differences may occur due to number rounding. This applies throughout this release. Note: Mudlode and Fatts remain in the Resource category pending further access and stope design. The Surprise open pit lies within 800 metres of the Yaloginda Carbon in Leach (CIL) processing plant. Pit Optimisations were conducted on the resource models resulting in the pit being deepened from 55 metres to 120 metres. Geomechanical studies were conducted by Coffey Mining to determine wall slope designs. As this open pit lies in close proximity to a major arterial highway, statutory requirements necessary to ensure wall stability integrity is maintained have resulted in a reduction of ounces mined from previously reported reserves. A mining contract has been awarded to Mining and Civil Australia, which has mobilised a fleet of equipment ready to commence mining within the next few weeks subject to DOCEP (Department of Consumer and Employment Protection) approvals. A grade control program has been completed for the first 30 metres and has returned positive variance to the reserve model. The Bluebird open pit has been optimised to a total depth of 180 metres, which extends the existing pit 100 metres below floor. The proximity of Bluebird to the Yaloginda processing plant (less than 1,000 metres) and the proximity to ideal waste dump locations have had positive impacts on mining costs. Detailed geomechanical studies have been completed by Coffey Mining to determine wall slope design parameters, which become more critical with the open pit being extended a further 100 metres in depth. Mining costs have been received from Mining and Civil Australia utilising larger, higher capacity earthmoving equipment for this larger open pit. The larger equipment reduces the unit mining costs, whilst ensuring the productivity rates required to meet the overall schedule. Open pit mining commences with Surprise. Low grade ore will be used first to build up gold inventory over the initial three-month period, followed by higher grade ore over the ensuing six months. Pre-stripping of the Bluebird open pit will commence once final approvals have been received from the statutory authorities (expected timing of three to four months). Bluebird ore would then be blended with Surprise to smooth monthly gold outputs. Subject to the scheduling of the open pits, ore production from Bluebird and Surprise over an 18 month period will rise to an annualised gold output of 120,000ozs at an expected process rate of 1,250,000 tonnes per annum. The Prohibition orebody will be accessed and serviced by a 5.0m x 5.5m decline. The mining methods will be predominantly large mechanised sub level open stopes. Geomechanical studies of the rock types, conducted by Peter O’Brien and Associates have confirmed the methods proposed and identified the support mechanisms for decline and stope development. Red Rock Engineering, a specialist underground mining consultant has provided all decline access and stope design, inclusive of schedules, operating and capital costs. Prohibition lies within 250 metres of the Eastern line of lodes known as Vivian-Consols and Mudlode. These lodes were historically mined as narrow vein high grade orebodies. Access and services to these lodes will be shared with Prohibition. Ventilation and second egress will be provided from an existing threecompartment shaft that lies within 400 metres of the Decline Portal. Initial access will target Prohibition to 300 metres below surface and Vivian-Consols to 250 metres below surface. Reserve development from the identified resources at Mudlode and Fatts will be notified following the completion of the detailed stope design presently being undertaken. The Prohibition, Vivian - Consols and Mudlode orebodies remain open along strike and at depth. The Company believes that considerable Resources and thereafter Reserves remain to be delineated once access to drilling locations has been established. The table below outlines the stoping profiles expected over the initial development phases before additional underground drilling programs are undertaken. A number of metallurgical studies have been conducted on the projects specified above by highly regarded metallurgical consultants AMMTEC, Bateman Minerals and Metals and Orway Mineral Consultants. Since the Yaloginda CIL plant previously treated some of the ore types represented above and was designed to treat variable ore types no new circuits are required in the initial production phases other than the addition of a gravity circuit. The following table highlights the respective ore characteristics identified from metallurgical test work. *Prohibition ore requires additional flotation and ultra-fine grinding to liberate gold. Recoveries of 90 to 95% are then achievable. Testwork was undertaken by Bateman Minerals and Metals. The information in this report, which relates to the Surprise, Bluebird, Prohibition, and Vivian - Consols Ore Reserves, is based on information compiled by Alan Coles and Denis Geldard.